Disposing of unused medications is an easy and crucial step in preventing the diversion of drugs. Learn how you can help combat the epidemic by taking back your unused prescriptions. Most people who misuse prescription drugs get them from a friend or relative, and home medicine cabinets are often the first place they look. Take part in the fight against the opioid epidemic by safely disposing of your unused prescription drugs. Saturday, April 27, is National Drug Take Back Day. Find a drug take back event near you. 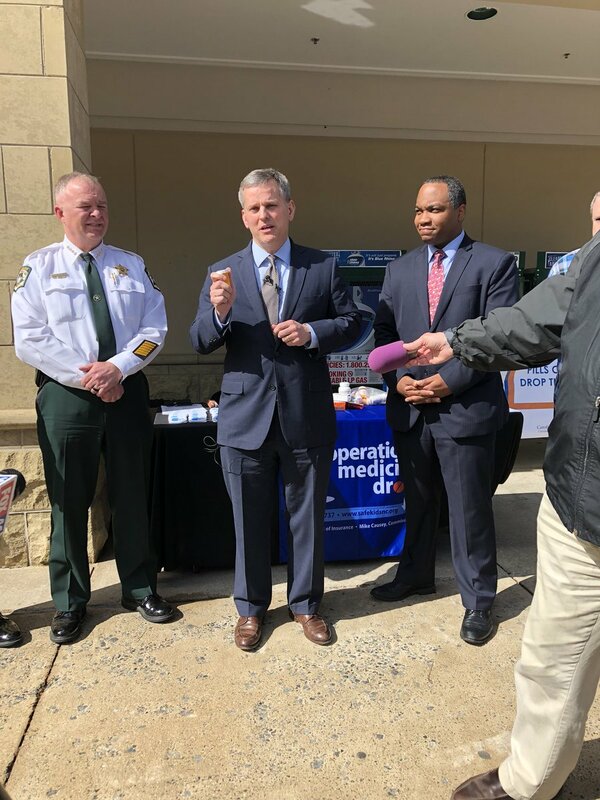 Led by the North Carolina Department of Insurance, Safe Kids North Carolina works to keep kids safe by (among other things) sponsoring Operation Medicine Drop and encouraging people to dispose of unneeded prescription drugs. Connect with your local Safe Kids chapter here. Cross out any personal information on your medicine bottle. Empty your medicine into a sealable, disposable container. Add cat litter, coffee grounds or another undesirable substance to discourage use. Discard the sealed container in your household trash. Find out more information from the North Carolina Board of Pharmacy. Find more information from the EPA here. Find more information from the Product Stewardship Institute here. You may also consider commercially-available, mail-back programs and home disposal kits. At this time, the state of North Carolina is not able to test, verify or endorse specific commercial options.